1. Supporting Families in Conflict-Reducing Communication. This workshop explores how to build skills to support parents in practicing clear and direct communication in relation to common family dilemmas; using a non-violent communication framework; identifying communications styles; understanding the connection between needs and choices of behaviour; exploring the benefits and disadvantages of conflict within relationships and families; and more. Workshop places will be limited to twenty people, as they will be facilitated in a participatory workshop style, which actively engages participants. 2. 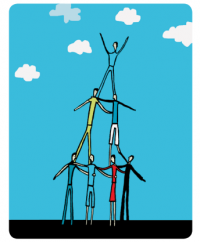 Supporting Separating Parents to Successfully Share Parenting. This solution-focussed workshop will explore ways in which parents can be supported to talk with children about family change after a separation. It will enable professionals working with parents to support them in identifying the sometimes competing needs that are priorities for parents and children during the process of separation. It will explore behaviours a child may exhibit when needs are not met during a period of emotional transition, and support practitioners with the language to help parents talk with children about the concerns they have during separation. The workshop will explore moving on after separation, and what shared parenting really means. It will equip practitioners with knowledge of parenting plans which can hugely support parents to develop and agree a way forward to parent positively. It will also explore some myths of shared parenting, and examine the advantages of shared parenting for parents and children. One Family has provided specialist family support services to diverse families since 1972 and understands the needs of professionals working with one-parent families, people who share parenting, and those experiencing separation. If you are a family support worker, social worker, youth worker, family therapist, educator, drugs project worker or counsellor, or deliver parenting/family supports and courses, our professional development programmes will help you to build on your skills, knowledge and approach. Facilitated by Geraldine Kelly, our Director of Children & Parenting Services, Supporting Families in Conflict-Reducing Communication is booking now for Sligo on 29 November and Supporting Separating Parents to Successfully Share Parenting is booking now for Limerick on 2 December. Registration details and further information can be found here. Does your work bring you into contact with families, parents or children? 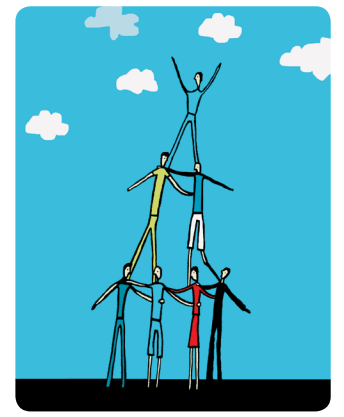 Family support workers, social workers, youth workers, therapists, educators, drugs project workers, teachers, counsellors, people who deliver training programmes and other professionals in a variety of roles will gain real value from participating in a One Family professional development programme this Spring. They include our acclaimed three day programmes – Positive Parenting for Changing Families and Family Communications – as well as specialist half day workshops such as Coaching Parents in Successful Shared Parenting and Talking to a Child About Their Absent Parent which are three hours packed full of current information. CPD points are available for our half day workshops, while our three day programmes offer all of the benefits of One Family accreditation and a beautifully designed robust manual that will be a valued resource for years to come. One Family was founded in 1972 and brings 40+ years experience working with parents and children to all of our Professional Development programmes. Our programmes are also extensively researched and regularly updated, ensuring that they offer professionals working with families today a fully rounded development opportunity which will enable them to acquire real skills for everyday use. A busy schedule for Spring sees us deliver programmes in Dublin, Galway and Westport. We can also faciliate groups in other areas or in organisations on request. If one of your new year resolutions is to invest in your career development in 2015, this could be the training opportunity you’ve been looking for. Call One Family’s Director of Professional Development, Paula Lonergan on 01 662 9212 or email her to discuss your needs as a professional working with families. 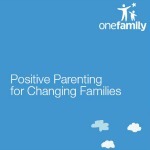 Our Professional Development service this month launched Positive Parenting for Changing Families. This three-day One Family accredited training prepares professionals to deliver the programme to groups or in one-to-one work with families. The beautiful manual contains 15 guided sessions and is a major resource that will be used again and again. Focussing on parenting during family change brought about through separation, divorce, new family form, unemployment and other circumstances, this is a strengths-based programme which recognises the challenges of parenting in diverse families today and enables parents to build strong relationships and positive family identities. One Family has provided specialist family support services to diverse families since 1972 and understands the needs of professionals working with one-parent families, those experiencing separation and families in transition. This programme enables professionals to build on their skills, knowledge and approach. 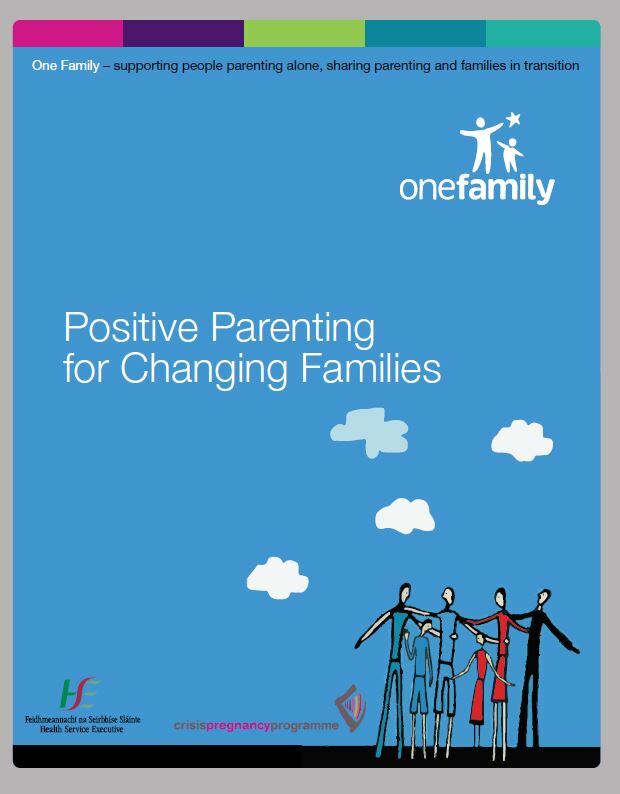 The first Positive Parenting for Changing Families programme takes place in Dublin 2 from 1-3 December and is booking now. Our acclaimed Family Communications programme for professionals is also booking now for Dublin, Galway, Tullamore and Meath. For more details on these expert programmes, click here or call One Family’s Director of Professional Development, Paula Lonergan, on 01 662 9212 to discuss your professional development needs or those of your organisation.